Black-legged ticks, also known as deer ticks, can carry Lyme disease. Black-legged ticks are small — the nymphs can be as little as the head of a pin, making them tough to spot. But she didn't realize that ticks in that part of Pennsylvania had become broadly infected with the bacteria. That is, until she was bitten during a family reunion weekend. She never saw the tick on her body. But about eight or nine days later, after returning home, she became suspicious. "I noticed a roundish red rash above my waistline and it expanded each day," she recalls. "I was also feeling sick with exhaustion and achiness." Her primary care doctor diagnosed her with Lyme disease and prescribed a course of antibiotics. After a few months, she felt better. "I felt very lucky to have had the rash appear as literally a red flag," Thorne says. It's a telltale warning sign of the disease. But not everyone with a Lyme infection develops a rash. And other symptoms, such as fatigue and aches, overlap with common illnesses. So, spotting Lyme disease can be tricky. Some people don't realize they're infected and don't seek medical treatment. The Centers for Disease Control and Prevention estimates the actual prevalence of Lyme disease infections is 10 times higher than the number of reported cases. Tick-borne diseases have been "steadily going up every year ... as the diseases expand to new areas around the country," Lyle Peterson of the CDC told reporters in a recent conference call announcing the updated infection estimates. Lyme disease accounts for about 80 percent of the tick-borne illnesses in the U.S.
Another factor that can contribute to the underreporting of cases is a lack of effective surveillance and tracking. "People just go to their local doctor to be treated," says Peterson, and the doctor may not report the case to the local or state health department. 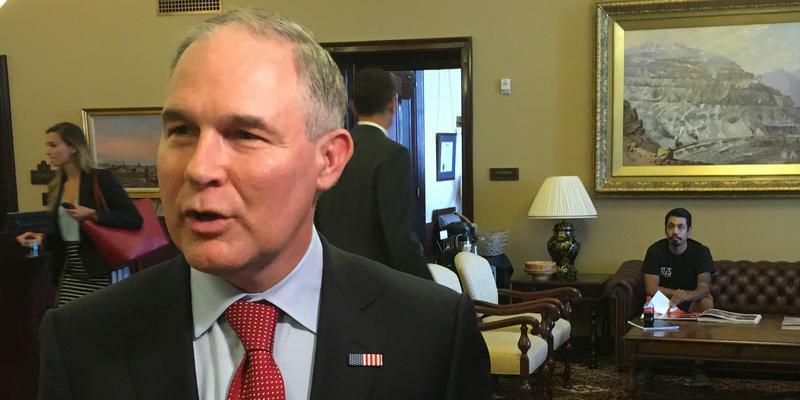 Or, if the case is reported by the doctor, he says, sometimes "state health departments have a very difficult time keeping up with the sheer number of cases reports." There's another factor at play, too: shortcomings in the way the infection is diagnosed. "Many of the tests for Lyme disease are negative at the time that patients first visit their doctor," says Dr. Paul Fiedler, a clinical pathologist on Yale School of Medicine's faculty who also heads the department of pathology at Western Connecticut Health Network. Blood tests to detect Lyme disease rely on a person's immune response, Fiedler explains, and after infection with the bacteria, it takes time — sometimes as long as 10 to 30 days — for the body to mount a measurable response. 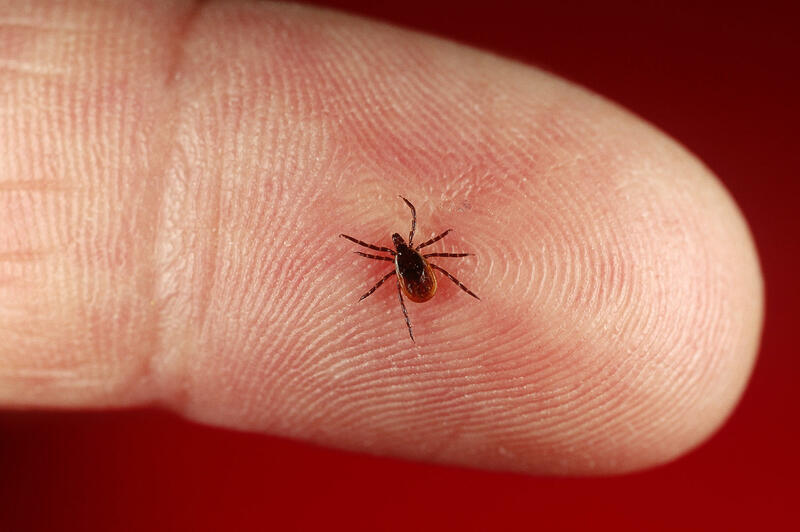 The blood tests detect Lyme-specific antibodies. If somebody is tested before the immune system has produced enough antibodies, the result will be a false negative. "And the diagnosis could be missed," Fiedler says. The subsequent lack of treatment after a missed diagnosis can lead to serious health problems. But Thorne says it's possible to take steps to help prevent Lyme disease if you're meticulous. In the spring, tick nymphs — young versions that transmit most of the Lyme infections — are abundant. They're tiny, no bigger than a pinhead or poppy seed, and tend to hang out in or near wooded areas, in brush or tall grass. The ticks need a blood meal to stay alive. They tend to feed on small mammals, such as mice, or birds. But if you happen to brush against a stick, blade or stem they're clinging to, they can easily hitch a ride on you. And you won't feel a thing. If you're hiking in or near a wooded area, it's wise to be on the lookout for nymphs on your skin or clothing when you get home. "They're small, but they're not invisible," Thorne says. She recommends light-colored clothing (to increase likelihood you'll notice the darker fleck of an insect) and long sleeves. Insect repellent may help, but Thorne says the most effective strategy is a thorough tick check of your body after you've been in tick-infested areas. Other favorite hiding spots include armpits, or behind your ears. If you do find one attached to your body, use a pair of narrow tweezers to grasp the tick very near the surface of the skin and tug upward with steady pressure. Don't freak out if the arachnid's been attached a few hours. In general, the CDC says, ticks need to be attached for 36 to 48 hours before they can transmit the bacteria that cause Lyme disease. It is tick season, and with it comes the risk of Lyme disease. Once found mainly in New England, Lyme disease is now being reported in a much wider range of the U.S. NPR's Allison Aubrey reports that cases have more than doubled over the last decade. Now there's an estimated 300,000 sicknesses a year. 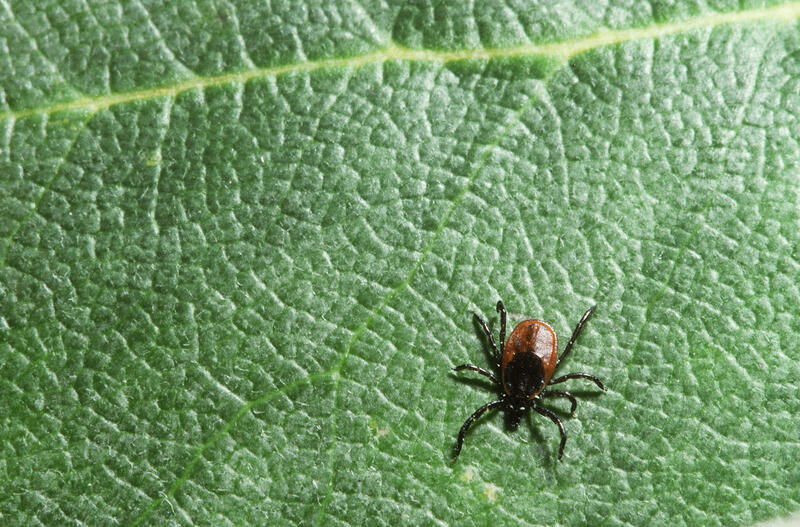 ALLISON AUBREY, BYLINE: Lyme disease was once unheard of in Western Pennsylvania, where Barbara Thorne spent time as a kid, so she was completely surprised by what happened to her after a July Fourth visit there a few years back. BARBARA THORNE: About eight to nine days after that Fourth of July weekend, I noticed a roundish, red rash on my back just above my waistline. And it expanded each day, so it made me suspicious. And I was also feeling sick with exhaustion and achiness. AUBREY: Her primary care doctor diagnosed her with Lyme disease, prescribed her antibiotics, and she did get better. Now, Thorne is an entomologist by training, so she knows she must have been bitten by a blacklegged tick. When these ticks are infected with the bacteria called Borrelia burgdorferi, they can transmit Lyme to people. And what she realizes now is that she'd been in a new Lyme hot spot. THORNE: Lyme disease is on the move. Its range continues to expand fairly quickly, so we all need to be aware. AUBREY: The CDC estimates the number of infections each year is 10 times higher than the reported cases. One reason is that some people who get infected don't know it. The nymphs, or the young ticks that transmit most of the infections, are teeny-tiny - no bigger than a pinhead or poppy seed - and nearly weightless, so it's super easy to miss a tick bite. And symptoms of Lyme overlap with other common illnesses. Paul Fiedler is a physician and chair of the department of pathology at Western Connecticut Health Network. He says even when people do suspect Lyme, there are shortcomings in the way it's diagnosed. PAUL FIEDLER: Many of the tests for Lyme disease are negative at the time the patients first visit their doctor. FIEDLER: The tests will be negative, and the diagnosis could be missed. AUBREY: ...Which could lead to serious problems. When Lyme is left untreated, the infection can spread to joints, the heart and the nervous system. Entomologist Barbara Thorne says it is possible to prevent Lyme disease if you're meticulous. Ticks tend to hang out in the grass or brush in or near wooded areas. So when you're outside, wear long sleeves and light-colored clothing. Insect repellent can help, too, but Thorne says the best thing to do is a thorough tick check. THORNE: The ticks do tend to climb upward. They climb up your legs. They often attach where there was a constriction of clothing, like around the waistline. AUBREY: Other favorite hiding spots include armpits or behind the ears. Now, if you do find one, use a pair of tweezers to pull it out. And don't freak out if it's been there for a few hours. The CDC says, in general, ticks need to be attached for 36 to 48 hours before they can transmit the bacteria that causes Lyme disease. Allison Aubrey, NPR News. Transcript provided by NPR, Copyright NPR.